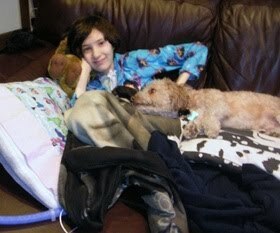 Rina Goldberg passed away in December of 2010 at just 15 years old, a victim of Mitochondrial Disease, a genetic disorder that prevents the body’s cells from producing enough energy for the body to function. But even though Rina is no longer with us, her vision, passion, love for life, and creativity live on. While she struggled against a terminal disease, Rina turned to film as a creative outlet for her energy and passion, writing a script for a movie called “The Magic Bracelet,” whose main character also has Mitochondrial Disease.